Member of National Assembly, Muhammad Najeeb Haroon lauded the Bohra community’s zest and devotion in Pakistan on Saturday and expressed hope that the rest of the country would follow suit. 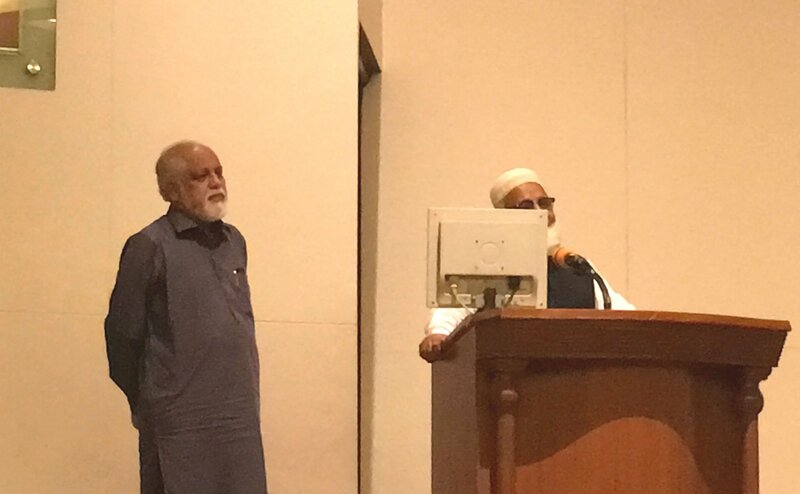 During an address at an inter-school declamation contest of the country’s reputed Bohra community schools, the Pakistan Tehreek-e-Insaf leader commended the efforts of participants and the vision they delivered of the esteemed national and religious heroes. “It’s platforms like these that ingest in the youth a sense of patriotism and responsibility and mold their thinking capabilities,” he stated. “The real vision of Allama Iqbal and the true struggle that Quaid-e-Azam had was for the society to progress together, hand-in-hand with the weaker links, and that is exactly what I see when I enter the sphere of this community,” he added. Vice Chancellor of Jinnah University, Wajeehuddin Ahmad also graced the occasion and announced scholarships for the winning female participants of the competition after the completion of their intermediate while hailing the efforts of the rest of the contenders. During the course of the event organized by the Badri High School, the participants delivered commanding orations touching the subjects of social issues, while displaying their religious zest as well as paying accolades to national heroes.